To add to our Makeup Artist Favourites we have introduced The Deluxe 2.0 range. Still with the same great features of a flat base and a natural look BUT with twice the amount of individual hairs to each flare. 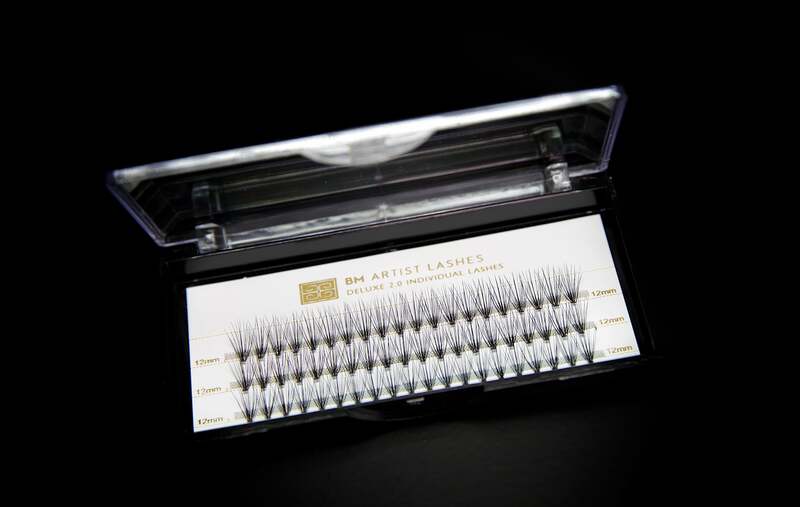 These lashes give you a denser and “blacker ” look to add extra volume and length. Endless possibilities from light and natural to thick and voluminous. Simply reverse them for lower lash line.